An apple a day keeps the doctor away! Or something. I don’t think that works with crochet. I used worsted weight red and brown, and sport weight medium green. 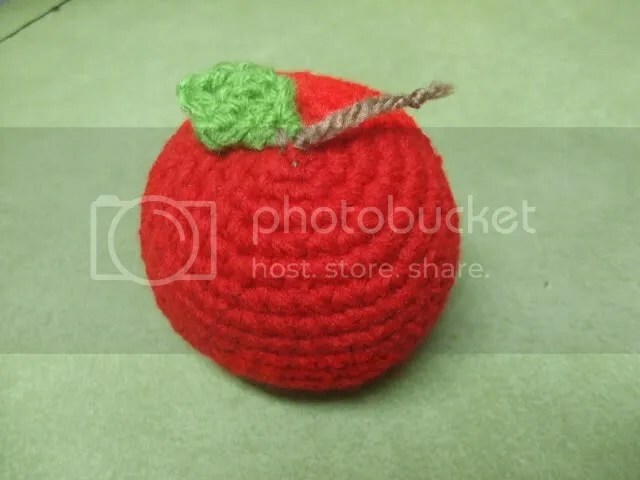 Sew leaf to top of apple with a length of brown yarn. Weave one end of the brown in and leave the other out to be the stem. Tie a knot in the end of the stem.